*Science Fiction, Fantasy & Horror: Anthologies are among our most popular books, so we have eight more added to our shelves. Featuring not only favourites such as Asimov (Nightfall Two), Merril (Ed.) (10th Annual S-F) and Wollheim & Carr (Eds.) 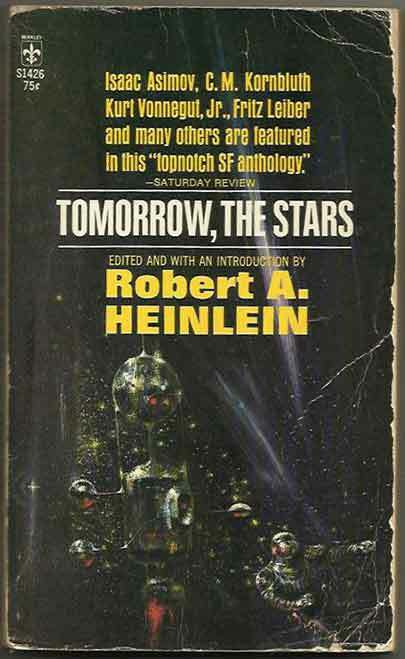 (World’s Best SF 1) but also more unusual items such as Heinlein (Ed.) Tomorrow, The Stars and Mills (Ed.) A Decade Of Fantasy And Science Fiction. Together with Apeman, Spaceman (Stover & Harrison Eds. ), The Eighth Galaxy Reader (Pohl Ed.) and Continuum 1 (Elwood Ed.) these are eight books guaranteed for enjoyment.